A guide to collecting 12 flavor NPCs to add to your Garrison. Collecting Followers, choosing buildings, and upgrading are great ways to make your Garrison something special. However, if you are looking for a little something extra to really give your Garrison an extra kick, flavor NPCs may be exactly what you are searching for. These NPCs can be collected from around Draenor and will show up in your Garrison to add a little extra flavor. Please note that these NPCs are not Followers, they do not go on missions or provide any of the other functions that a Follower would. Squiggy is an adorable baby fey dragon that Alliance players stumble across while questing in Shadowmoon Valley. While on the quest; Think of the Children, obtained from Efee, Alliance players will also have the option to complete In Need of a Hero. The quest is picked up from Ariaana, one of the children you save while completing Think of the Children!. Ariaana will task you with helping her to save her pet baby fey dragon. After saving the itty bitty dragon, it grows quite attached to you and will show up in your Garrison. Added bonus; Squiggy can be petted! 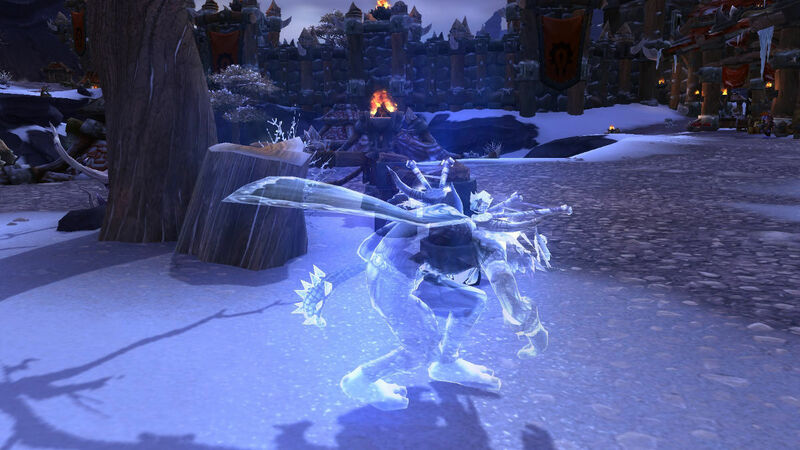 Want to make your Alliance Garrison a haunting good time? Then it is time you bring Jarrod Hamby on board. This ghost is the very dead husband of Shelly Hamby who you meet while questing in Shadowmoon. Finish the Gloomshade Grove quest line and you will catch Jarrod's attention. He will ditch his wife and come hang out in your Garrison instead. Just be warned, it has been rumored that Jarrod loves the outhouse and doesn't quite understand privacy. You may recognize these names if you spent any time in the Spires of Arak. 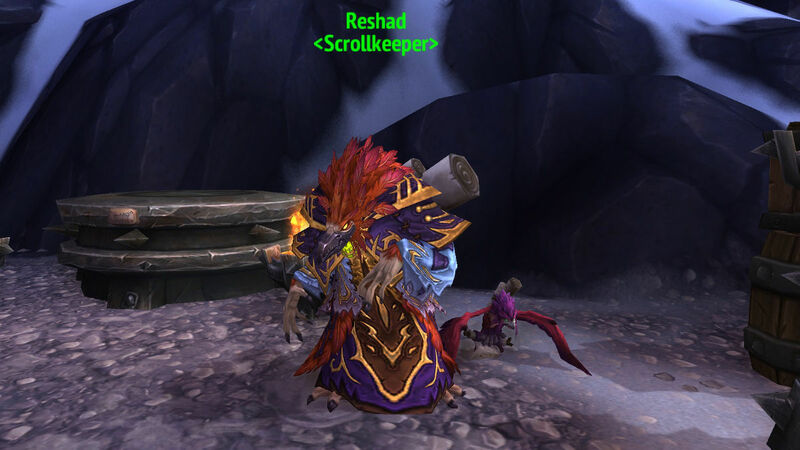 Reshad and his loyal companion Percy are a big part of questing there and provide a ton of comic relief. If you want to see more of these two, your wish can be granted. If you complete all the quests (and I mean ALL the quests) in the Spires of Arak, Reshad and Percy will appear in your Garrison and call it their second home. Once inside your Garrison, Percy will offer up Inscription supplies for purchase. If you took part in tending your farm in Mists of Pandaria, you are probably familiar with Dog. This little guy showed up at your farm after you completed the Lost and Lonely quest for the Tillers in the Valley of the Four Winds. It seems that Dog has no intention of being lost or lonely ever again. Any player who has completed this quest and obtained Dog will find that he has migrated into your Garrison Herb Garden, complete with dog house and toys. Didn't do much farming in Pandaria? Head back into these zones and do it now. Dog is not particular and will happily occupy your Garrison even if you are a bit late to the farming party. Dog can be found near the water tower that is close to Thirsty Alley, crouching in a group of three rocks. Dog is only visible after you have reached Revered with the Tillers. Peckers is a feisty raptor who can be found stuck in a cage in Gorgrond. This cage is located in the Stonemaul Arena (cave at 38.7, 67.4). While there are many cages inside this cave, only Pecker's cage can be opened. Once opened, Peckers will run out of the cave and vanish. However, he is not gone for good! He will eventually show up in your Garrison. Be wary though, Peckers doesn't really like to be petted. Rooter is much like Dog, a hungry stray. However, Rooter is not exactly of the canine persuasion. Rooter can be found near the west coast of Gorgrond, north of Gronn Canyon. Once you have located Rooter, he will offer you the quest Rooter the Ravenous. This quest will require you to collect Prickly Nopals to feed Rooter. Prickly Nopals can be picked nearby, however, you will have to fight through level 100 Blackrock Orcs to obtain them. Feed Rooter and he will show up in your Herb Garden soon after. After completing the quest line, speak to Birchus one last time and he will eventually make your Garrison his home. In Nagrand Horde players will have the chance to complete the quest The Blessing of Samedi. This quest gives you a fetish that is to be used on three dead shadow hunters. After completing the quest you will discover that the dead don't always stay dead. These same dead shadow hunters will appear in your Garrison, dancing away, after the quests completion. Sappy is a tiny little elemental tree found in the Tangleheart (62.8,63.2) region of Gorgrond. This little guy only requires one thing; a kind soul to feed him. You don't even have to collect anything. Simply right click on the little guy and click the option to “Feed” him. After being fed, Sappy will run away. This won't be the last you see of him. Eventually, Sappy will appear in your Herb Garden, willing to help you kill any pesky podlings that may pop up. There is nothing like befriending someone after you have mercilessly slaughtered every single one of their companions. Such is the case with Guh. Found west of the Horde Garrison in Frostfire Ridge, in the Burning Glacier, Guh will be slightly hesitant to speak with you. Simply speak to him again and he will provide you with three options. Instruct Guh to visit your Garrison and throw in a bribe and he will periodically show up. As a bonus, Guh will also offer some interesting things for sale when he appears in your Garrison. Snowpaw is the companion of Outrider Urukag. You can find Urukag in eastern Frostfire Ridge, south east of the Cracking Plains. In the quest Gut Guttra, picked up from Urukag, you will find out he is grievously wounded and has only made it this far thanks to Snowpaw. Urukag asks you to avenge him and his fallen brethren by killing Guttra Wolfchew. Kill her, complete the quest, and Urukag will die happy, with Snowpaw watching over his body. This isn't the end for Snowpaw, he will start to visit your Garrison from time to time, when he isn't guarding the final resting spot of his best friend. 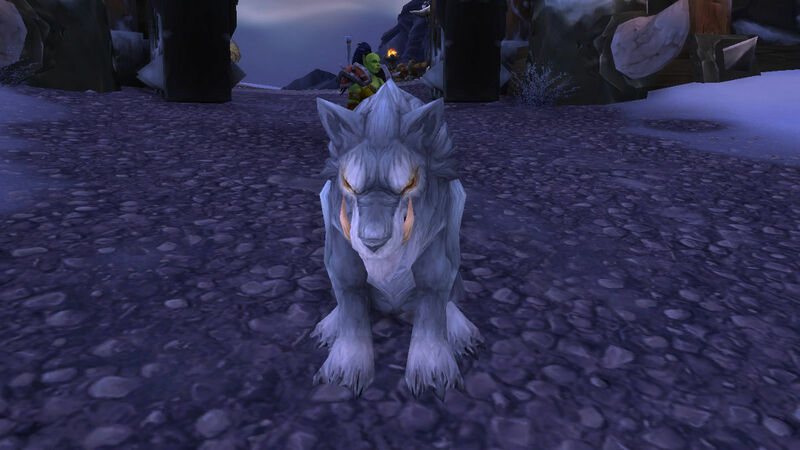 Hemet Nesingwary, hunter extraordinaire, has made his appearance in the WoD expansion. However, Hemet is not his usual self. Instead of sending you on quests to eradicate animal life, Hemet is sitting next to a pool...drinking and lamenting the fact that the Horde and Alliance played him for a fool. Wol'var wolves are far from the big game he craves! To get on Hemet's good side and have him periodically visit your Garrison, simply sit and drink with him and listen to him rant. Misery loves company, after all. Hemet can be found in eastern Nagrand, just north of Hallvalor. Know of any other NPCs that you can add to your Garrison? Share them with us in the comments section below!